When writing the ManageWP release notes for December, I said that I’ll be back (with an Austrian accent – and there is a reason for that) to keep you posted about new features and improvements, so here I am. We introduced some new stuff and said some goodbyes, but all in all, it was a great and creative month. In January, we put the emphasis to make ManageWP even more secure and stable for our users. This is why, in the beginning of this year, you can use a new way of connecting websites to the dashboard – using the connection key. When you activate our Worker plugin, this key will be shown in the plugin’s description in the WordPress backend. It is will also a solution for a situation when, for some reason, we are not able to reach the website remotely, using your credentials. In that case, when you try to add or reconnect the website, you will be prompted for a connection key and voila, the connection to your website will be established. But there is even more to it. 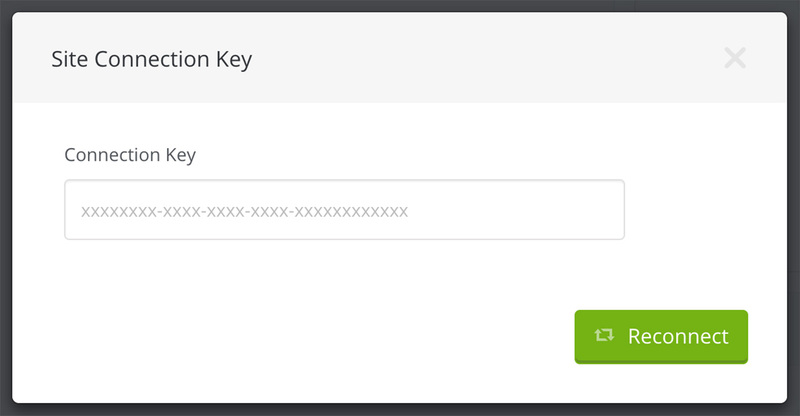 If you don’t want to enter your credentials to ManageWP when adding or connecting websites, ownership verification with connection key only will become an alternative soon. I have very mixed feelings when writing this part of the article since our old-timer just has his EOL (I prefer to say that it’s been retired). In January, Classic was shut down officially, for all our users. It somehow makes me sad that the tool that we all loved so much went to history. But, knowing that Classic made way for our Orion which has a pack of new features and a great, modern UX I feel happy. So, with a full heart, I say: ”Goodbye Classic”. As I wrote in the beginning, January was a creative month and that implies that something great is coming soon. So, here is what you can expect to be released in February. Do you remember that I already mentioned accents, when making that corny Terminator joke? It was actually my way to announce a full localization of our dashboard (editor note: your Schwarzenegger joke is lame, kill it with fire). This feature will be available this month, so if you are not native English speaker, it will make your life a lot easier. We will be very proud when we release this feature since it is a real timesaver. With a Template builder, you can make up to 10 website templates and use them with the Clone feature. You can pick a theme, set of plugins and even the versions of theme and plugins that will be deployed to the destination website. Also, you can use a clean WordPress installation or a client’s website’s settings for this. The best thing is that you can set the template to use the latest plugin version from the WordPress Repository. As you can see there is a lot that we have been working on in January, so we can say that it was a productive month. We have implemented connection key, said goodbye to Classic and made final preparations for great features that will be released in February, so hold tight. You announced that the ManageWP panel would be translated in February. When will the ManageWP control panel be translated into Spanish? We are running a bit late with the rollout, I expect that it will be live in the next few weeks. 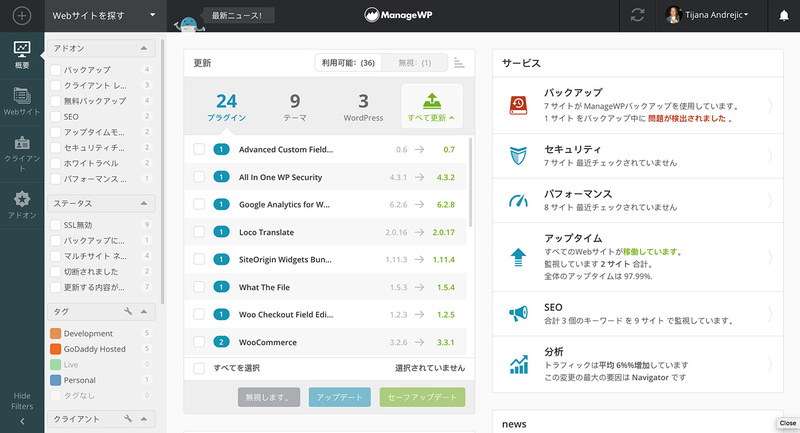 I use ManageWP for a year now. And I am still happy, how much time it saves me. Nice to see, that you are constantly working on it. Keep the good work up! Template builder sounds very nice!! Goodluck and thank you for your hard work. Really the best in the market! Great! Special Localization. I hope raport for client will also translated? Client report is already fully localized, you can pick between 28 languages (same as the list in this article). It would be great to have a report in Serbian. Maybe there is someone who is willing to help to translate it. What do you think? Template builder looks very interesting, could it be used in a multisite environment to clone a subsite? Unfortunately, no. But there are some specialized plugins like NS Cloner that should make it easy for you to copy a subsite. For the Template Builder, it would be great to use .zip / external plugins also. This we need for premium plugins that are not on the WordPress Repository. Thanks! What about the bugs that are legion on the dashboard right now ? The infinite load in the support ticket is being investigated by the developers, since it’s starting to be a recurring issue. But in general we don’t go into fixes in the release notes, since it would clutter the article – bug fixes are best tracked in the changelog. I was just reading about Template Builder is that online now, I can’t find the link for this to explore it more.